Posted by Lorea Thomson on Monday, September 29th, 2014 at 10:44am. Who’s Who in Luxury Real Estate is a “global collection of the finest luxury real estate brokers in the world, this group of more than 130,000 professionals in more than 85 countries collectively sells in excess of $190 billion of real estate annually.” Recognized as the industry leader, Luxury Real Estate has been recognized by the “Webby Awards”, has received “Best of the Web” by Forbes Magazine, acknowledged with an “Addy Award” for Excellence in Web Design, and recognized by the “Maggie Awards” for excellence in media publishing. Who’s Who in Luxury Real Estate announced award nominees for the 19th Annual Luxury Real Estate Fall Conference that will take place from October 5th – 8th in Boston, Massachusetts. Joan Thomson, Broker of Waterfront Properties and Club Communities received the prestigious "Lifetime Achievement Award". Together with Rob Thomson a highly skilled team of esteemed real estate associates and professional staff, has received numerous nominations and awards not limited to “Best Industry Networking", "Most Innovative Marketing” , “Master Networker” and member of the “Billionaire’s Club” for sales exceeding $ 1billion. Rob is a respected Member of LRE’s Board of Regents. This year, Waterfront Properties and Club Communities has been nominated for “Best Website”, “Outstanding Social Media Savvy”, and “Most Outbound Referrals”. In an era in which successfully marketing luxury real estate means, “one must stay ahead of the curve”, Thomson leads a business model that optimizes agent’s strengths in all luxury markets to the benefit of the client. He oversees Waterfront’s AWARD WINNING technology and innovation based marketing systems. 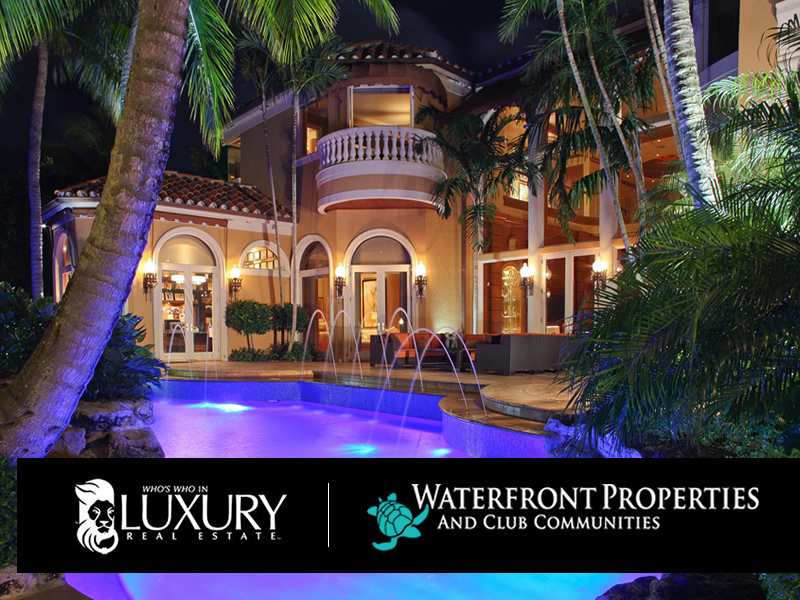 With nationally renowned internet technology and social media team, along with traditional marketing efforts, Waterfront is able to provide unparalleled service to buyers and sellers in the luxury waterfront real estate market. To discuss the current real estate market in your area, please feel free to contact Rob Thomson, Waterfront Properties and Club Communities by sending an email INFO@wfpcc.com or call (561)746-7272.